At Northlake Animal Hospital, we want you and your pet to share a long, healthy and happy life together. We start with guidance for your puppies and kittens and stand by your side with pet wellness plans for pets of all ages (including seniors). Our veterinarians and team members will help guide you through the treatment for arthritis in your dog, the management of chronic kidney disease in your cat, or many other common age-related diseases. At Northlake Animal Hospital, we take senior care very seriously. We know puppies and kittens are fun and exciting, but we believe growing old together with your best friend is the most rewarding experience a pet parent can have. As your pet gets older, we will recommend additional examinations and diagnostic tests to make sure your pet is healthy and happy and stays that way for as long as possible. And many other conditions. So if you have an older pet in Lake Park or North Palm Beach, please give us a call now to schedule an appointment or book an appointment directly through our website! 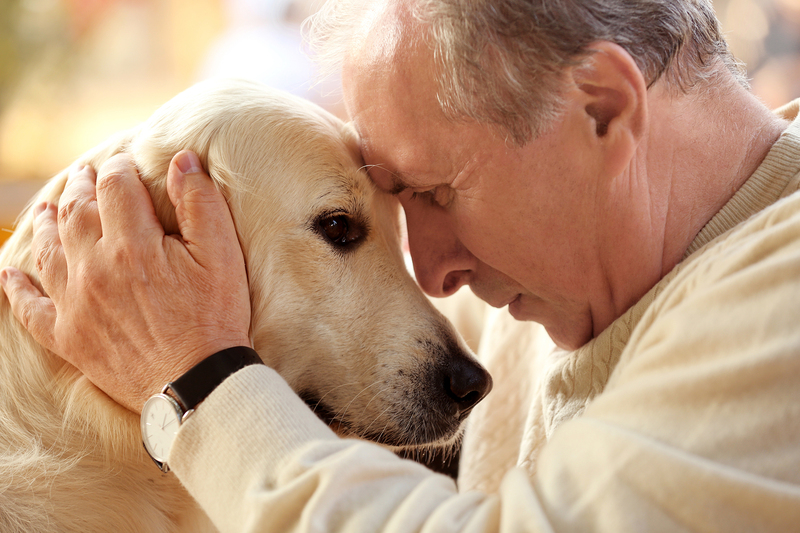 As pets age, there are many age related diseases and illnesses that we can catch early with routine blood work. Although we recommend yearly blood work for all pets, it is especially important for pets over the age of 7. For many of these diseases, early detection and treatment can be life altering and may save your pet’s life. Many ailments need chronic management, and the earlier we can implement treatment, the better (and usually cheaper) it is for you and your pet. In fact, we believe in yearly blood work for senior pets so much, we have created a full blood work package for our older friends that includes an extended chemistry, complete blood count, urinalysis and thyroid test – at a fraction of what the tests cost individually. Thanks to modern advances in veterinary medicine and new therapies, pets are living together with their owners for longer then ever! Unfortunately, as pet’s age they are susceptible to additional diseases. One of the most common age-related diseases we see in older dogs (and is likely one of the most under-diagnosed conditions in cats) is arthritis. This slowly progressing ailment affects pets of all sizes, although we often associate it with larger dogs and hip dysplasia. The chronic pain associated with arthritis is often mistaken for “getting old.” Although we will evaluate your pet for any signs of arthritis or pain during an exam, if you notice any of these symptoms, please call us to schedule an appointment. General inability to do the things they like to do. A negative reaction to touch, such as biting. The best way for us to figure out why your pet may be in pain or to diagnose arthritis is for us to perform comprehensive physical and orthopedic exams and assess their joints with an X-ray. At Northlake Animal Hospital, we take pain management and the treatment of arthritis in dogs and cats seriously. We think that the quality of your pet’s life is the most important thing- and minimizing any pain or discomfort they feel is of the utmost importance. If your pet has arthritis, we will suggest and implement a combination of traditional and cutting-edge therapies for your pet. If you think your pet may suffer from pain or arthritis, please schedule an appointment with the best pain management veterinarians in Lake Park and North Palm Beach, FL. We would love to meet you and your pet and can’t wait to discuss possible therapies to reduce or eliminate your pet’s pain. Call us at 561-848-4391 or schedule an appointment here. We also offer emergency/urgent care for any pet in the event you need to schedule services immediately. Unfortunately, eventually we, as pet parents, may eventually have to make the most difficult decision of our lives – when is it time to let our furry friends pass on peacefully? We believe that the quality of your pet’s life is the most important factor and we will do everything we can to give them as much comfort as possible. We can provide you with hospice services and will come to your home for end of life care or to perform at home euthanasia. Please visit Saying Goodbye to learn more.